The Left is out to “silence opposing views” by unleashing an avalanche of stories and lists on “fake news” and how it supposedly influenced the 2016 presidential election, columnist Kelly Riddell wrote on Nov. 24. 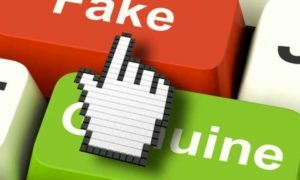 Lists of fake news sites have included conservative (not liberal) news sites, including Red State and The Blaze as well as GOP-leaning Independent Journal Review (IJR), Riddell noted. Riddell continued: “So, just like MSNBC, Huffington Post, Slate, Mother Jones, and ThinkProgress — all partisan left outlets, which often use exaggeration and hyperbole to emphasize their point — which weren’t included” on the list. CNN’s media columnist Brian Stelter included Fox News and Breitbart on his list of fake news sites. “Breitbart is anti-media. Much of Fox News is anti-media. Fake news websites and some right wing blogs are anti-media. These outlets provide a different audience with a different set of facts about the world. But too often what they’re really selling is opinion and conspiracy theory masquerading as fact. These sites, these outlets, they present themselves as the opposite of traditional news sources, the antidote to mainstream media,” Stetler said. Meanwhile, Riddell noted, when Nebraska Sen. Ben Sasse asked on Twitter after the election, “why wasn’t there more reporting on the anti-Trump protests — like who they were organized by and if they were paid for” — the Washington Post’s Phillip Bump took offense.